To compare, contrast and capture the entrepreneurial approaches that women employ in Europe – centered on Portugal – and the US via a project sponsored by the US Embassy in Lisbon, along with other institutions. Interviews will be conducted with US-based women who successfully created companies in the digital arena. These women will have either created a digital-based business or used online tools to grow their business. The goal is to understand: How they did it, what challenges they faced, who helped them, their biggest lessons learned, what tips can they give and their plans for the future. This information will be used to contrast with the Portuguese entrepreneurial mindset. A book with best practices about Women Entrepreneurship across the Globe, focused on the digital arena, featuring these business women and their companies. … because in the end there are a lot more like them that have walked the same path, and that is inspiring! Jaqueline Silva is a Portuguese young entrepreneur. 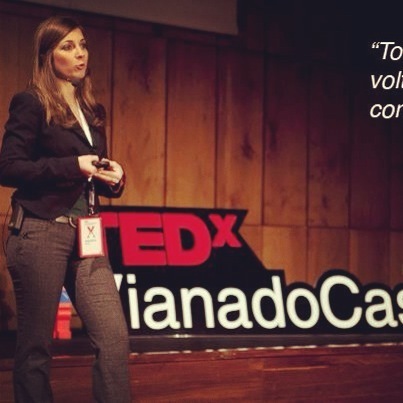 She teaches at a Portuguese university and is earning her PhD in Digital Media. The research component of her studies will be held at the University of Texas in Austin. Jaqueline appears monthly on national Portuguese television where she discusses unemployment and entrepreneurial topics from her first book: You’re Unemployed…Now What? She has created, developed and sold two companies. Her most recent business venture was a Portuguese restaurant based on highly personalised service and customer interaction, her own creation. Jaqueline is developing her website, first in Portuguese and then English: www.jaquelinesilva.pt.